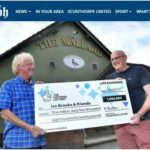 Get the latest news about EuroMillions, and those jumbo jackpot winners. One of the most popular games in the world, EuroMillions is played by countries all across Europe. You can find out more about the EuroMillions lottery and syndicates here. 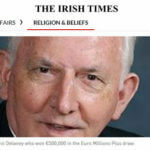 When Jim Forbes asked the lotto outlet clerk to check his Euromillions ticket, he was advised to call Camelot. 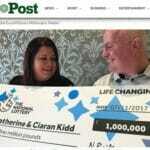 Dean and Stella Hardman have learned that winning a large lottery jackpot opens a lot of possibilities. After their £6.75million lottery win in 2006, there were a lot of letters asking for money, one even suggesting they buy the Bury FC team. 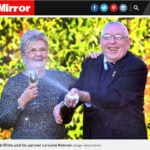 For a Cumbrian couple, the silver lining in the clouds came courtesy of the wife finally being cleared of cancer closely followed by a significant lottery win.